As of 6:55pm, July 5, 2016, water pressure at Pump Station No. 1 is already at 483kPa (70psi). Build-up of water pressure is on-going. The facilities of the Butuan City Water District (BCWD) at the source and at the Filtration Plant are partially operational. In the meantime, five (5) pumping stations are still running to augment the water supply in Butuan City. Water rationing is still continuing until the entire service area will experience normal water pressure. As for now, for those areas with water in their faucets, we suggest to store water as precautionary measure especially with the coming Tropical Storm Butchoy which may affect the weather condition in Butuan City. We sincerely regret the inconvenience. 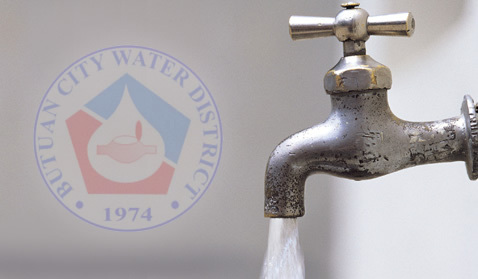 BCWD is trying its best to restore normal water pressure.